At Endoca we grow our hemp on organic certified land, even processing the product in an organic certified production facility. Why do we go that extra organic mile? As a supplier to hospitals and a producer of pharmaceutical grade products, we have to have very strict quality control during the whole production process from seed to the final product. We call it 100% organic because that’s what it is. We use no chemicals and do not mix our products with anything that’s not organic. Therefore we have created a new logo – 100% organic. Governments around the world do not accept hemp oil as food. As a result they do everything they can not to give certifications, even though production may comply with the requisites. When you buy products with organic certification you can never be sure they’re 100% organic. Few people know but there is a law that says the product you make can be mixed with non-organic compounds. Different percentages are accepted in different industries. Many farmers that have organic certification often choose to buy non organic products, stamp them with the organic logo, and then resell them as organic. 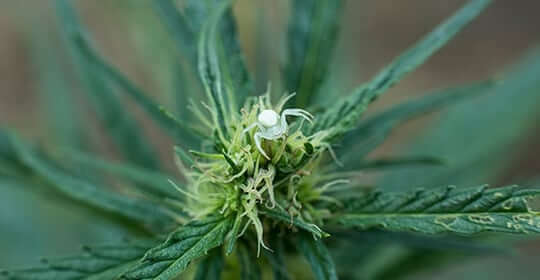 Like governments have failed to protect the human right to access of medical cannabis, it has also failed to create a system in which the food chain is protected. The solution is simple. You have to trust the farmer and choose produce grown locally. In the end, no matter what logos and paperwork people have, the choice is yours to trust or not, as there there is never a 100% guarantee. We have been producing hemp extracts for 10 years. We consider ourselves to be more of a grassroots movement than a company as our main concern is to make the world a better place. We are well known for our high standards and will continue to keep them. In that you can trust.